Can you tell it’s summer? The blog is all family fun all the time these days. And today, I get the opportunity to share the fun with YOU! Lucas is newly enamoured with dinosaurs, so I knew he’d enjoy the dinosaur exhibit. Even though I’ve seen it several times, there’s something magical about watching your five-year-old light up like a Christmas tree, eyes wide with wonder and literally jumping up and down with excitement over every single skeleton. You can imagine how cute it was when we made it to the actual dinosaurs – in fact, you don’t have to imagine it at all. How cute is this? So I knew that would go over well. What I didn’t expect was how utterly engaged all five of us would be by the Earth Gallery. Tristan and Simon are Minecraft junkies (if you have a boy of a certain age, you know what I mean) and they’re fascinated by rocks, gems and mining. I had never been in this gallery before and even though I don’t play Minecraft, I’ve always been intrigued by geology and I found it really interesting. And I always love the Mammal Gallery with its realistic dioramas of Canadian wildlife. We were creeping up on lunchtime by the time we’d carefully inspected each exhibit in each of those three galleries, so we decided to forgo the RBC Blue Water Gallery and head straight to the main event, the special Hidden Life of Ants exhibit. Ants are everywhere. Though small in size, they form complex societies and dominate their ecosystems as much as humans do. Farmers, Warriors, Builders: The Hidden Life of Ants is an exhibition of 39 large-scale photos by award-winning photographer Mark W. Moffet. Visitors will also see two live colonies of harvester ants and honeypot ants, a three-dimensional aluminum cast of an ant nest and a touchable oversized ant model. You will have a whole new appreciation for ants after seeing this impressive show! This travelling exhibition is organized by the Smithsonian’s National Museum of Natural History and circulated by the Smithsonian Institution Traveling Exhibition Service. I’m mildly bug phobic, but that has never really extended to ants, maybe because they’re so ubiquitous. (Unless they have wings. The ones with wings freak me out.) I found this exhibit engaging on a couple of levels – first, because the ants themselves are interesting. Second, because the photos really are spectacular. I mean, who wouldn’t love ants blown up to over a meter in size? I found out from the exhibit curator on Twitter that although the photography part of the Hidden Life of Ants exhibit is only temporary, the ants belong to the museum and will be a permanent feature. I don’t know whether I’m more tickled by the serendipitous connections I make through Twitter or how clearly excited the curator was to share this news. I tell ya, I now know way more than I ever expected to know about ants. And dinosaurs. Ahem, anyway, this was a terrific half day out and we followed it up with lunch in the Byward Market to round out a full day downtown. And now I get to share the joy! Would you like to attend the exhibit? The Hidden Life of Ants runs until January 5, 2014 at the Canadian Museum of Nature, and I have a family pass to give away! If you would like to enter this giveaway, just leave a comment on this post telling me whether you think ants are creepy or cool. This is a giveaway for a family pass comprising two adult and two child admissions to the Canadian Museum of Nature. The pass includes the Hidden Life of Ants exhibit and regular exhibits but some special exhibits and movies may have additional fees. To enter the giveaway, simply leave a comment on this post telling me whether you think ants are creepy or cool. Everyone who “likes” Postcards from the Mothership on Facebook will get a bonus entry. (This promotion is in no way sponsored, endorsed or administered by, or associated with, Facebook.) If you already like Postcards from the Mothership on FB, just say so in your comment. This giveaway will run until 11:59 pm EDT on Wednesday July 31, 2013. If you win, you must be willing to provide your full name and contact information to me to share with the agent of the Canadian Museum of Nature that is organizing the giveaway. Special thanks to the Museum of Nature for the great morning of fun, for the free family pass they gave to us and for the free family pass to give away! I think ants are amazing, as long as they’re outside! Definitely cool. I also like the Postcards from the Mothership on FB. My children’s great aunt (or as she prefers Aunt of Greatness!) is coming to town in August for an “Aunt Day”. How cool would it be if the day included ants as well? My daughter is especially fond of ants and used to imagine conversations between and among her ant friends. Ants are definitely cool in our family, though I am with you on the ones with wings! I like Postcards from the Mothership on FB. Ants are very cool. Unless they are infesting my yard and finding their way very cleverly into my kitchen. It’s been very interesting to find large crumbs of my cat’s food over by the baseboard where they enter/exit. Obviously the pieces are too large to fit through the crack. I have yet to be able to watch them carry the food over, but I’d sure like to! Ants are cool, except for those red ones that bite! My three boys will love this! And of course I like your FB page! I think ants are cool as long as they’re not in my bloody kitchen LOL! The other day I opened the garbage can and I could have made an aluminum cast of the contents. YUCK! Oh yeah, I already like you on Facebook! Hmmm…..ants……well I’d have to say they’re creepy and cool. When I landed on an angry ant-hill mound when going to ground as an infantry reserves woman many years ago – suffice to say….ouch. On the other hand, watching them industriously work together as a little ant community….definitely cool. I think ants are creepy AND cool. They are so industrious and busy! Would love to learn more about them. They aren’t as creep as…. earwigs, say. Creepy in my kitchen, cool outdoors. I’m guessing they are super cool at the Museum, and we’d love to see ’em! Ants are cool because they really know how to get things done! We could all learn a few things from ants. Ants have to be cool, because they’re all over my front porch! On a different note, I’ve put my name down in the library about 2 years ago and still haven’t gotten a call for a free pass to this museum?!!! However, my pictures have been used for the Museum’s website and they’ve mailed me 2 free passes for the use of my flickr photos, so I’m not complaining! I think ants are so cool! I still remember a project I did on the subject in grade three! I think ants are very cool… I remember spending many lazy summer afternoons as a kid watching them carry things into and out of their “hills”. 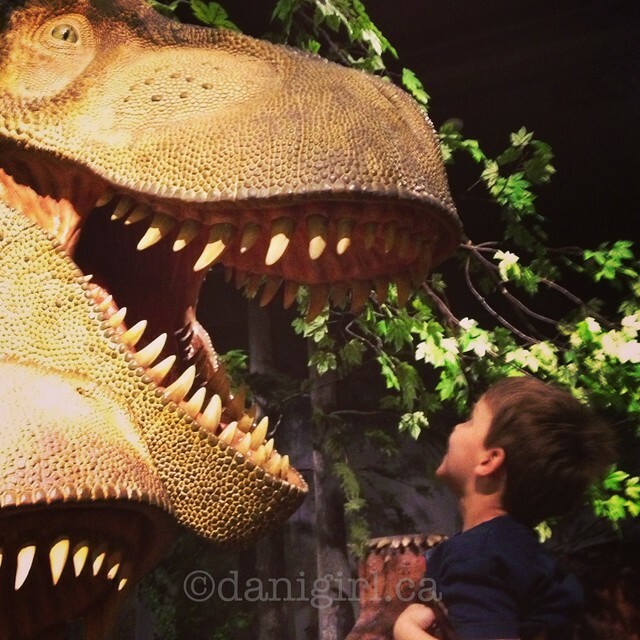 Thanks for posting about your experience at the museum! Ants are super cool! They can carry anything on their little backs, very impressive. My three boys also love ants, and museums! Ants are creepy in the house (or even near the doors) but pretty neat in nature. Jill — all the museum passes have been put on Express. there is no wait list anymore. If you check your holds, you’ll find they’ve just disappeared. Ants are really incredibly cool and so strong! 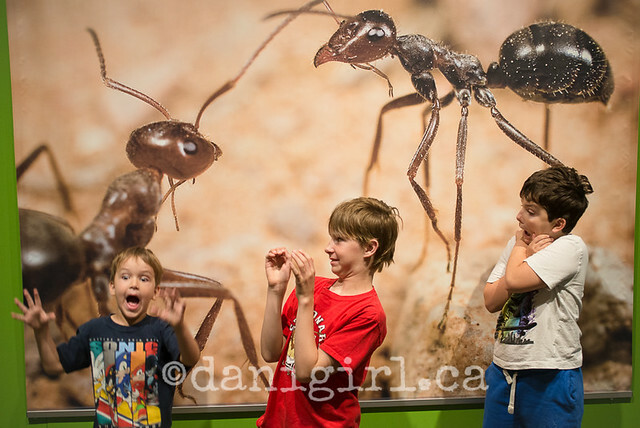 Recently we had the chance to watch very busy ants at the Insectarium in Montreal and it was amazing! The Museum of Nature look fun, I not been there but look like a great place to be. Ants are creepy when they’re infested inside the house. Otherwise, they’re cool.